Go ahead and break out of your usual routine and try something you haven't done before. 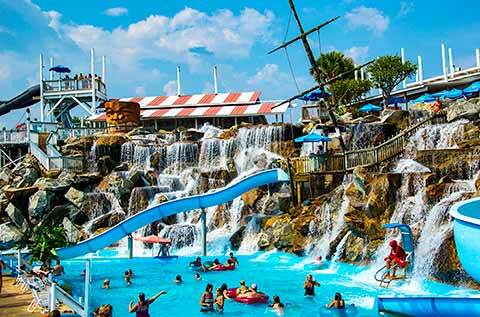 The Emerald Coast offers visitors great opportunities for fun, excitement and, of course, relaxation. Click on an area of interest and learn about what our area has to offer! Spring 2018 Discount Coupons from our Welcome Arrival Guide partner - Lifes A Beach! "Solaris" Solaris is the Emerald Coast's only dining and entertainment yacht. Dine & dance as you cruise the beautiful Choctawhatchee Bay. We'd like to thank you for choosing Pelican Beach Resort with a 20% discount on 2 dinner cruise tickets. To make a reservation simply visit www.sunquestcruises.com or call 850-650-2519. See our Pelican Advantage coupon. Be sure to show your room key or proof of stay to receive this valuable discount. "We'll Take You There" Do Crab Island, Do Fireworks & Sunsets, Do Dolphins Let SunVenture Take You There. Our captain will take you there on this 49 passenger motorized catamaran. Bring your cooler, sunscreen and camera. The SunVenture I will be your home base with an rest room on-board and plenty of shade. Also check out our Eco/Dolphin Cruises and other specialty cruises at www.sunventure.com Pelican Beach Resort knows all about southern hospitality. Â Let our staff make the reservation for you. 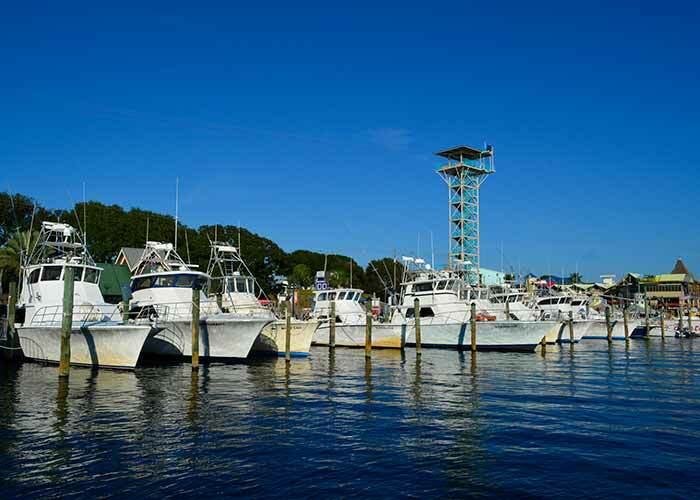 Destin has earned the title "World's Luckiest Fishing Village," and so it's no wonder it harbors the largest charter fishing fleet in Florida with over 200 boats. An off-shore shelf dips straight from Destin's East Pass to 100 foot depths within 10 miles, making it internationally recognized as the quickest deep-water access on the Gulf of Mexico. Over 20 species of edible game fish are always in seasonal runs, one being the famous billfish. 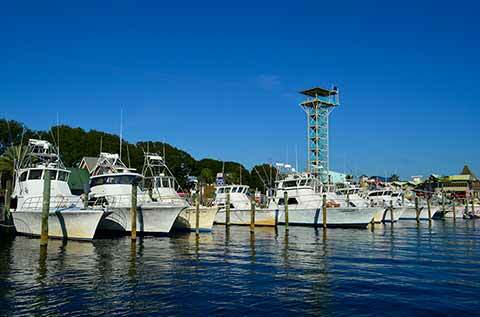 There are plenty of party and charter boats waiting to take you out for the fishing thrill of your lifetime! 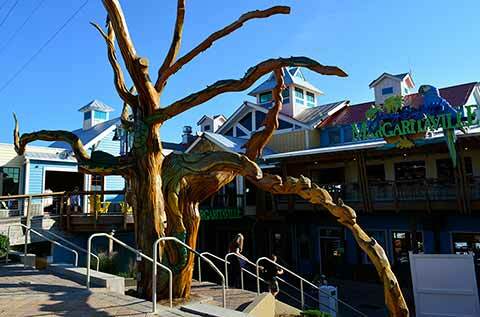 In 1984, Louisiana Lagniappe in Destin was opened and established inside Sandpiper Cove condominiums. A loyal following was quickly established, in no small part, to the quality of the food and the attention to detail of the service. Since then, Louisiana Lagniappe has consistently served only the freshest seafood and steaks. The Gulf seafood is prepared with a Creole flair, the attire is casual, yet an upscale waterfront dining experience is provided for the entire family. Open year round, Louisiana Lagniappe is the spot for a memorable dining experience on all levels. With there being hundreds of restaurants in Destin, Lagniappe is consistently ranked in the Top 10 restaurants on TripAdvisor and wins the Award of Excellence every year. Locals favorite for lunch and dinner. Best sushi bar in Southeast US! Outdoor deck overlooking the Harbor is the "Dance Place". 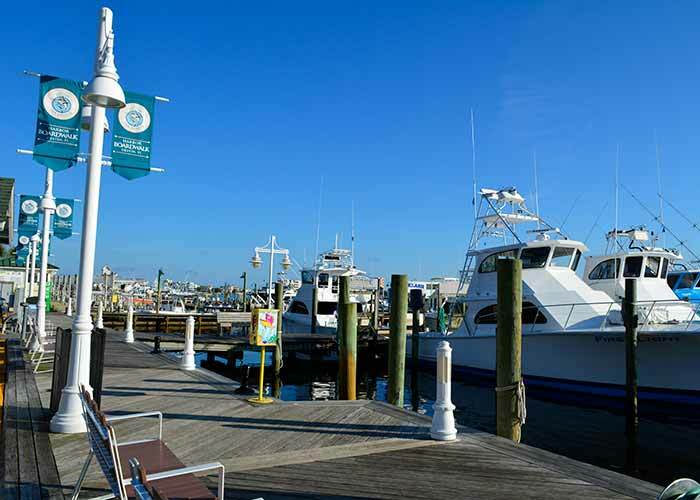 Harbor Docks has been a Destin seafood restaurant tradition since 1979. 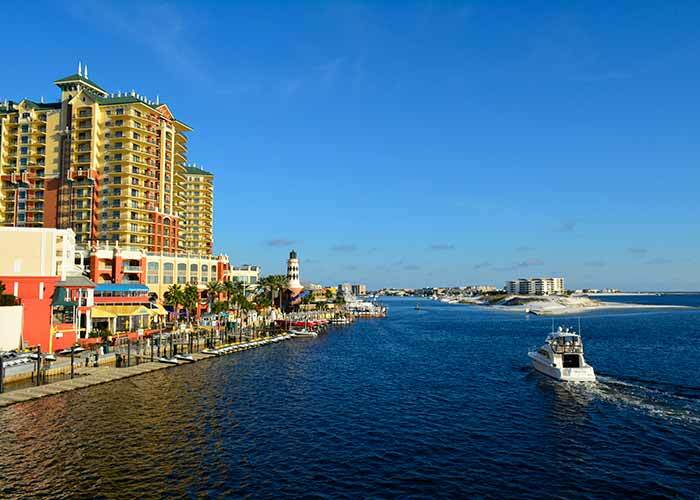 The World Famous AJ's Seafood & Oyster Bar in beautiful Destin, Florida! 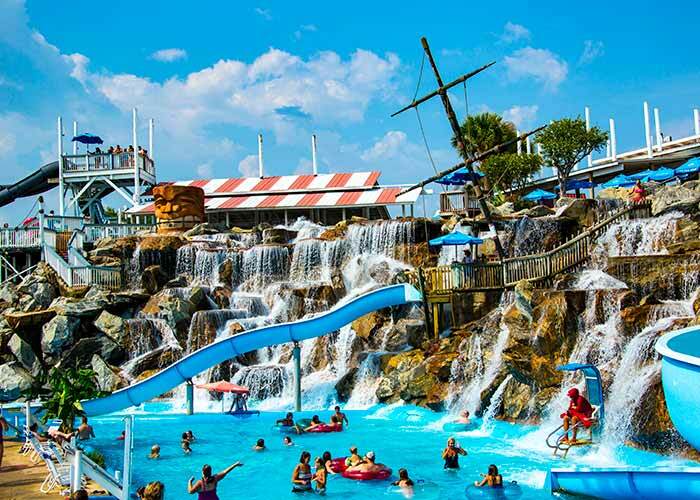 Perched upon the bluffs of Destin's historic inner harbor with spectacular views of the Gulf of Mexico, you are about to discover why AJ's has been the premiere spot for fun and family entertainment for over three decades! 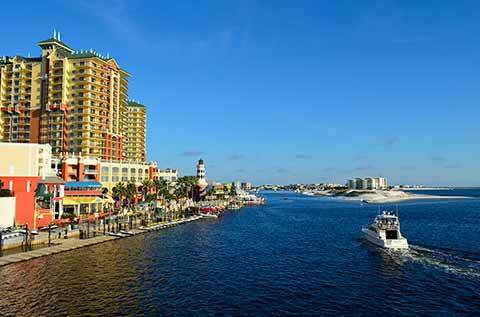 Hog’s Breath is located in the heart of Destin, just a ½ mile east of the Destin Bridge. We offer great seafood, fresh smoked BBQ, live music, handmade specialty drinks, and a kid’s menu. You can sit inside, or dine outside on our spacious patio while enjoying the beautiful Emerald Coast weather and listen to our live, local entertainers. Fun will be had by the entire family. Come by and enjoy our Happy hour and visit Hog’s Breath Clothing for a World famous T-Shirt. Where the locals eat! Come choose a steak out of our deli case and let us cook it just the way you like it! Not in the mood for steak we feature locally caught seafood on our nighty specials. If you had a great day fishing here in Destin bring in your catch we would love to cook it for you. Callahan’s doesn’t forget we are in the South and we feature southern favorites, such as, Country Fried Chicken or Country Fried Steak, Grilled or Fried Pork Chops and Pot Roast just to name a few. Our extensive menu is sure to have an option for every member of your family! 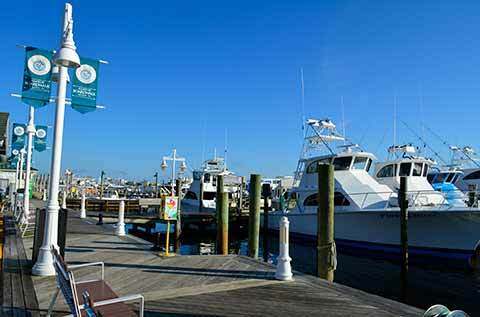 Casual harborside eatery serving the day's catch & other local seafood, with a pier, patio & decks. Popular Irish bar with pub grub, ales brewed on-site & live music on the sunset deck most nights. Inside the pub you'll find a turn-of-the-century, New York Irish Saloon themed 615-seat restaurant. We are celebrated for our atmosphere boasting more than One Million signed dollar bills hanging from the ceilings and walls of the Pub. After undergoing a transfer of ownership and an extensive six-month renovation project in early 2017, the new Cuvée Kitchen + Wine Bar has resumed its legendary status as one of the hottest and most electrifying dining experiences on the Emerald Coast. Propelled by a seasonal menu, focusing on local seafood, farm fresh ingredients and premium cuts, and backed by a beverage program highlighting craft cocktails and an international wine list - Cuvée Kitchen + Wine Bar is the latest venture of local restaurateurs Christopher Ruyan and Tyler Jarvis of Brotulas Seafood House and Steamer and Jackacudas Seafood & Sushi. 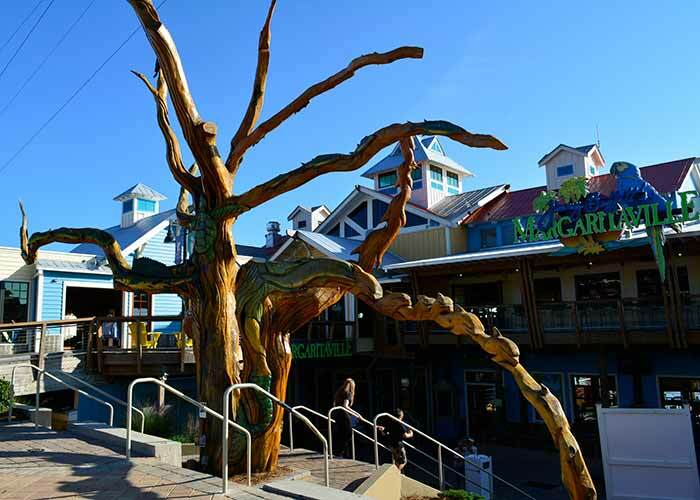 Fudpucker’s Destin restaurant offers a dining experience like no other! With eight different dining rooms and over 400 seats, we can accommodate small and large parties alike. Every evening during the Spring and Summer months you can enjoy a cold drink outside on the deck of “Club Key West” while listening to the best local musicians on the Gulf Coast. For the shopping enthusiast, there is our gift shop, the “Fudpucker Trading Company”, a uniquely Fudpuckish experience that is a “must do” when visiting Destin. You will also be thrilled with Gator Beach, our FREE Alligator Exhibit featuring “Pearl” one of the few Albino Alligators in the world. Copyright ©2018 PELICAN BEACH MANAGEMENT, LLC . All rights reserved. Created by: Market Edge Communications, Inc.